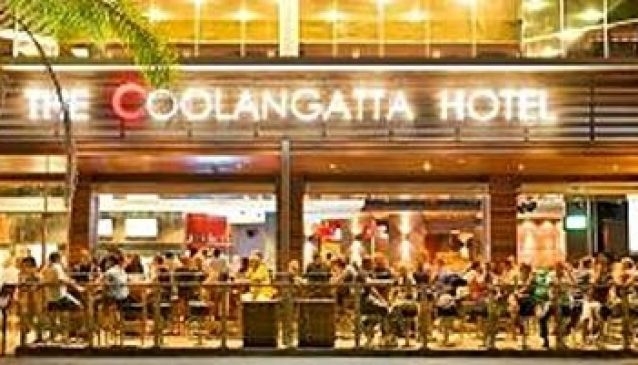 A well-known and popular venue located opposite the beach at Coolangatta. It is also known as 'The Cooly' and the famous 'Bandroom' has played host to a who's who parade of Australia's finest artists and also well-known International touring artists. There is an international standard full size stage, state of the art sound system and even an in house sound technician. 'The Cooly' also encourages up and coming DJ's and features live coverage of all the biggest fights and games. There are ample bars including a street front bar opposite the beach (you can hear the surf in the background) and a Steakhouse Restaurant. 'The Cooly' is also able to cater for functions for up to 1000 people. There is public transport and parking nearby.